After escaping the chaotic grasp of the traffic on the outskirts of Yaounde, I skirted Anne Murray some 50km towards the border of Gabon. Along the highway is a worn sign for Mefou National Park some 4km down the road; I can’t resist. With the sun beginning to set, I bounce and slide my scooter through the mud and rocks of the dirt track which leads to the park. I’ve been told that there’s an animal sanctuary on the edge of the park, but as the day closes out I’m not sure there will be anyone there when I arrive. Luckily, there is actually a team of people at the sanctuary. There is even a bar and shower facilities. And although it’s too late to visit the wildlife, I set up my tent on the grass and have myself a cheap place to spend the night. As I lie there amidst the jungle both wild and simulated, I can’t help but feel taken aback by the rawness of it all. A firefly flickers in the sky which lightly lit by a full moon. Crickets play their string instrument tune while frogs burp along in rhythm. The trees occasionally shake from a jumping monkey or a resting bird. Just as I’m about to fall asleep a cacophony of screams call out from a nearby chimpanzee sanctuary. Morning happens quickly at Ape Action Africa. I’m not allowed to sleep past 6am as the combination of a crowing roosters and chest-thumping gorillas shake the peace of the night’s green noise. A young English-speaking guide greets me and a Dutch couple I’ve been crossing paths with for over a month now, and we head off to visit the various primates of the sanctuary. 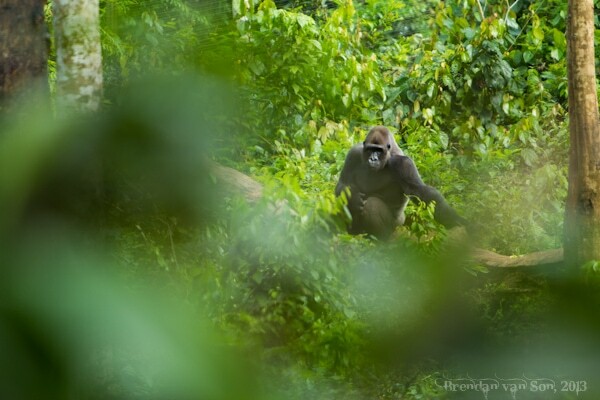 Unlike most sanctuaries in Africa, Ape Action Africa is done almost entirely by Cameroonians. In fact, aside from the English director and an American volunteer the entire workforce of a couple dozen is Cameroonian. The importance of getting the local people involved cannot be overstated, because at the end of the day this is their country and it is up to them to decide how they want to treat it. 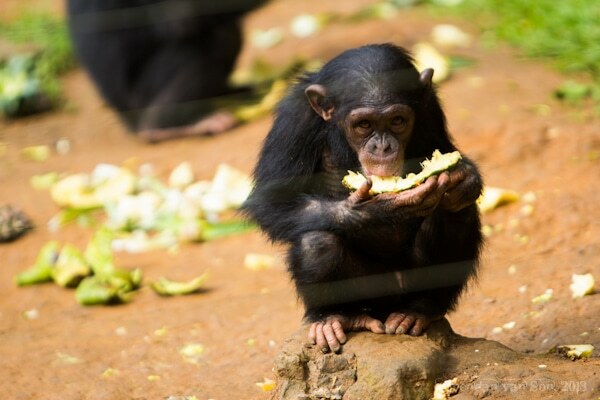 The trade of primates for pets and bushmeat is still a massive problem in Cameroon, and in the rest of Africa for that matter. 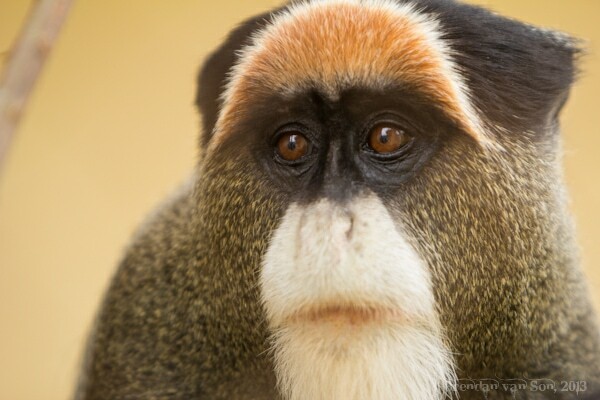 We wander past large enclosures of lowland gorillas, juvenile chimpanzees, mandrills, and a dozen or so smaller monkeys. Have you ever played peek-a-boo with a gorilla? The property is impressive and it takes us nearly 2 hours to circle the sanctuary, though I could easily spend all day here watching the primates play, socialize, and demonstrate, it’s time to move on towards Gabon, a country where hopefully I’ll get to see some of these animals in their own natural territory. Down the road towards Gabon, I just might get that chance. 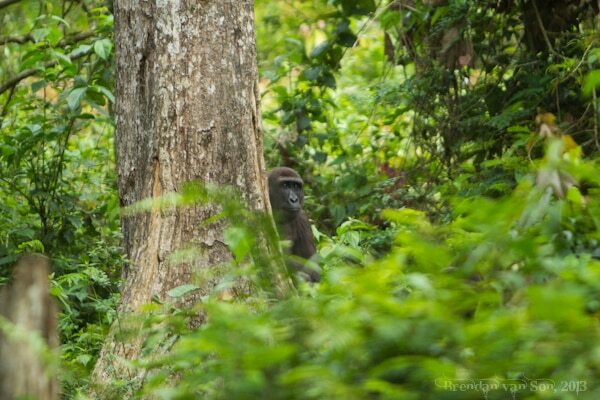 Next ArticleLope National Park: Bad Business or African Business?